Frédéric Biesse, tire performance analysis expert at Michelin, introduces the tire giant’s quest to learn more about the behaviour of worn tires – particularly in wet conditions. As it turns out, worn tires from different manufacturers vary greatly in performance, but predicting worn tire performance and communicating it to consumers and law makers can be a dark art. Tell us about your approach to testing wet performance of worn tires and what you have learned from it. The first thing to mention is that the testing of worn tires is a relatively new idea in the tire community, but several tire manufacturers have recently started doing it. Michelin believes that for consumer safety, we should test the performance of worn tires. After all, by the law of averages, all cars on our roads have half-worn tires. The evolution of tire performance with wear is well known, with dry grip improving by 5-10% and rolling resistance improving by up to 20%. In other words, a worn tire has a shorter braking distance on dry roads and consumes less fuel, but wet braking performance suffers. It takes longer to stop on wet roads, so this is our focus. Our approach had two main goals. 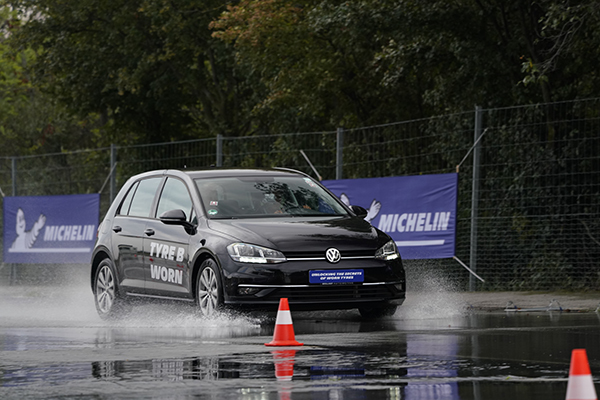 First, we wanted to test tires when worn to the legal limit (1.6mm), analyse the results and understand the mechanisms at play – including hydroplaning. Second, we wanted to fully understand wet road conditions, rainfall levels, resulting water depth on roads, how this influences driver behaviour and speed. We therefore also looked at accidentology studies about wet conditions. What we learned was really surprising. We knew that tire brands vary in performance when new, but we were surprised how these differences were redistributed once the tires were worn. We certainly learned that the wet grip of a worn tire cannot be predicted from the way it performs when new. A tire that has good wet grip when new can become among the poorest worn tires, whereas an average new tire on wet grip can be ranked among the best worn tires. 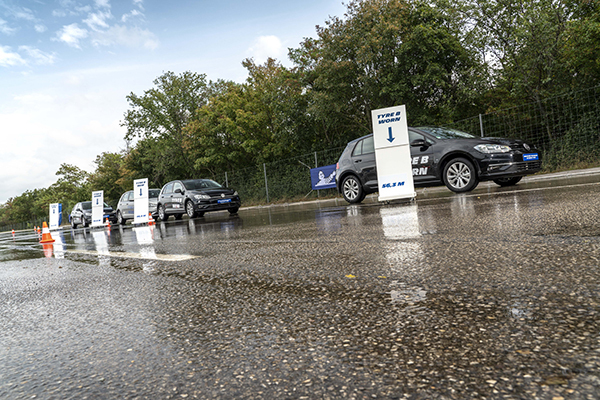 We also learned that the industry standard test for wet braking, R117, which specifies 1mm of standing water on a road, requires very heavy rain. In reality, such conditions are rare and can be found less than 1% of the time in Germany. This wet braking test therefore checks safety in severe conditions and we believe it should be used to evaluate worn tire performance. What are the practical purposes of this approach? Should worn performance be included in tire labels and regulatory approval? The practical point is that motorists don’t know how safe they are on wet roads. Certainly, tread depth is a very poor indication of tire performance. Michelin has conducted the industry-standard wet braking test with new and worn tires from several manufacturers, and we found worn tires with which the test car was able to stop 3.4m shorter on a wet road than when shod with brand-new tires from another manufacturer – enough to avoid a hazard in the road ahead. New tire performance is well-documented following years of testing, but a tire’s performance when new is the best-case scenario, and truly new tires only exist on a dealer’s shelf. In conclusion, Michelin believes the tire industry must start asking a number of questions. How do tires perform when worn and when should they really be replaced? As a result, Michelin does believe that tires should be tested when worn to the limit, and we are supporting the EU to establish a threshold for wet braking performance of worn tires. One challenge is trying to communicate and involve key stakeholders in this approach. The whole subject is extremely technical, and in many ways it is counter-intuitive that a worn tire can be safer than new one on wet roads. Several years have gone into researching all aspects of worn tire performance, but crystallising that into a simple message is difficult, and we’d like to tell people about our project in more detail at the Tire Technology Conference. Finding relevant data about road conditions was also problematic. It’s easy enough to find rain intensity statistics but extensive data about standing water depths doesn’t really exist in scientific literature. To overcome that, we worked directly with data sources from the German weather forecast service (Deutscher Wetterdienst) – they collect data every 15 minutes, from 1,500 weather stations. We also equipped a vehicle with a water depth measurement system and took measurements on various roads each time it rained. We want to continue this approach. Ideally, we want to be working with stakeholders, law makers, tire dealers and other tire manufacturers in all regions, to push for the introduction of a relevant wet grip test for worn tires. This will allow consumers to use their tires to the end of their life without compromising safety. It will also reduce the environmental footprint, create more value for drivers and improve safety on our roads. 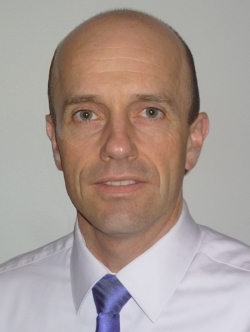 Frédéric Biesse will give a presentation titled Wet grip of worn tires: mechanisms analysis, test method relevance at the Tire Technology Expo Conference. Click here to book your delegate pass.